The Conservatory of Classical Ballet is currently fundraising to support its 2018-2019 Classical Ballet Diversity Scholarships & Programs - a sponsored project of Fractured Atlas, a non-profit arts service organization. These program aims to provide greater participation in exceptional quality ballet training and ballet performances in the community. 1) TO PROVIDE SCHOLARSHIPS to exceptional, in-need and diversity candidates ages 5-18 to the Conservatory’s year-round training and summer intensive. The Conservatory's academic program is a robust weekly/daily schedule of ballet instruction. 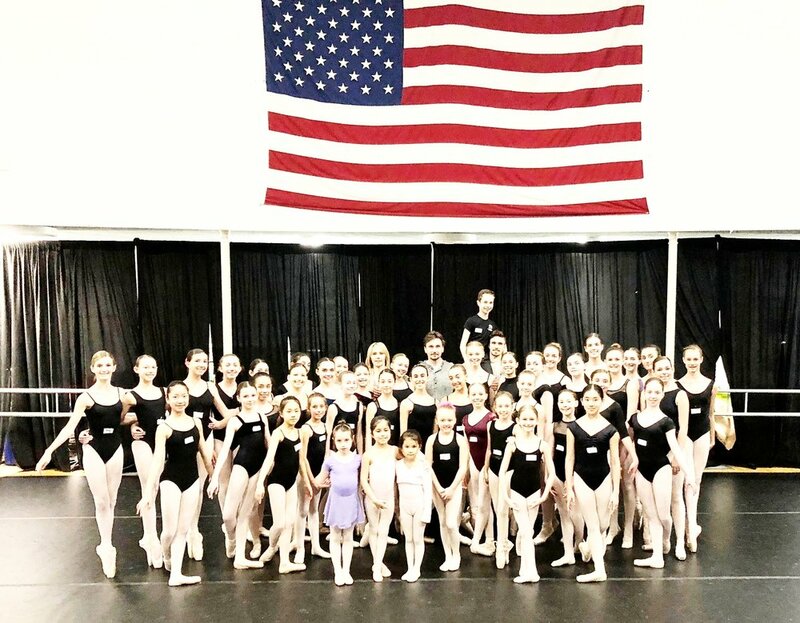 The core of the curriculum is classical ballet technique, supplemented by contemporary, stretch and conditioning, as well stage performance and competition opportunities. Information can be found on our Academic Program Page at this link. The Summer Program is designed to enrich dancers by accelerating their training through rigorous daily instruction or for those new to ballet, introducing them to ballet and all its rich history and benefits. The Summer Program is located on the campus of Greenwich Academy school, and programming details can be found at our Summer Programs information page. Importantly, quality faculty are the heart of any program be it year round or summer. Our faculty are world-class and have a demonstrated passion and success in working with children and developing their talents. Click here to learn about The Conservatory' exceptional teaching faculty. 2) TO PROVIDE BALLET PERFORMANCES & MASTER CLASS OPPORTUNITY this year to the local ballet / dance community. GCCB’s goal is to stage two ballet performances featuring students (and potentially guest artists) as well as three master classes bringing world-class instruction directly into our local community. The master classes may include specialists in a particular ballet/dance discipline or featured guest artists who can bring unique instruction to dancers in our community and surrounding areas. The Conservatory has already hosted one highly successful Master Class - see photos and testimonials on the GCCB Master Class information page. 3) TO DEVELOP A SPECIAL NEEDS BALLET PROGRAM which will include weekly ballet instruction and performance opportunity. This program is modeled after a program at Boston Ballet for children with Down syndrome and children on the Autism spectrum. Click here to learn about the Adaptive Dance model program and the benefits of ballet and dance for children with disabilities. The public benefit of the project is to provide greater access to high quality ballet / dance instruction and performances. The benefits of ballet and dance are numerous and documented by professionals including neuroscientists. These benefits include improved cognitive functioning, improved coordination, improved strength, mobility and agility, improved musicality, improved social connections and greater self-esteem. Ballet is also highly collaborative and fosters a sense of team-work and celebration of shared success. Click here to learn more about published research supporting the benefits of classical ballet education; click here to read the latest media about the Conservatory's role in the community. Contributions for the charitable purposes of the Greenwich Conservatory of Classical Ballet's Scholarship and Programming Initiatives must be made payable to “Fractured Atlas” only and are tax-deductible to the extent permitted by law. Fractured Atlas is the country's largest fiscal sponsor, helping thousands of artists and organizations raise the money they need to make artistic projects with clear public benefit come to life. Click on the black Donate Now at Fractured Atlas to make a donation now, or receive further information on how to give by check or other means. Thank you for considering making a difference in the lives of local students and the arts culture of our community.